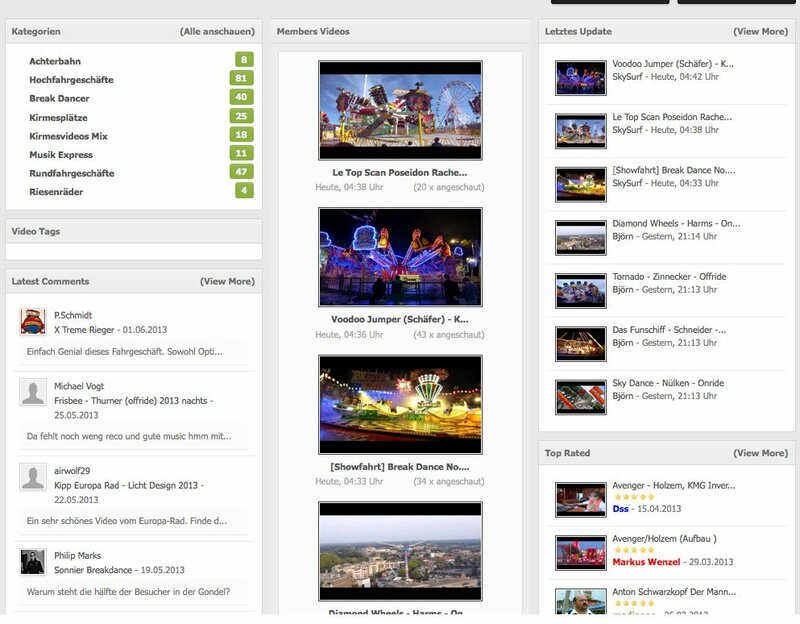 Videos System v3 has been released and is a major update with several new features and design improvements. A full list of the changes and improvements can be found below. View latest features and screenshots here. The portal index has been re-designed and now includes latest comments, top rated and recently updated videos. The category view has been re-designed and now includes a thumbnail or list view mode. Comments have been upgraded to use IPB's own comments class. Mobile skin support has been added for the portal index, category view, video form and view video pages. Support added for IPB's tag class for videos. Media tags have been added for Facebook & Vine media tags. Both of which support automatic thumbnail downloading. Media tags have been added for the JustinTV & TwitchTV channel pages, both include the side chat box and automatic thumbnail downloading. Support added for category or video following. Support added for IP.Contents feed plugin (videos, categories and comments). Support added for IPB's like/reputation class for videos. Search support has been upgraded to include both video and comment search as well as tag search. New "Post As Video" hook that allows you to extract media urls from a post and post them into the Videos System. Some design improvements added to the global videos hook, including auto scroll and collapse. Extra videos now supports setting own titles and an ajax switcher for changing the video without page load. Featured videos area has been improved to include ajax switcher for changing to other featured videos and the option to show embed code on page. Basic video upload support added with flowplayer integration. No transcoding done, video must be compatible with flowplayer. Data hook support added for add, edit videos and comments. Optional setting to restrict duplicate media urls from being posted. Per category rss feed export added for each category. Support added for the furlRedirect plugin. Support added for the Quick Navigation plugin. Discussion topic now uses tags from video if used and a thumbnail quick tag. Cleanup tool added for orphaned and broken thumbnails and uploaded videos. Either in the videos app or elsewhere in the community? Mind you, yours might be better than mine - not 100% sure. Also relating to supported media. I am assuming that users can enter any media tag that we have support for - i.e. that work in the rest of the community, except that the thumbnails will not appear. However the 'Regex Match' column of the supported media types is just going to be confusing for the average person, who can just about cope with cut and paste! Maybe this should be suppressed or perhaps should on clicking a button for advanced users. Hopefully the regex would cope with any submitted URL's anyway, so is probably not required. Both should work, the thumbnail plugin may not but if you have issues just let me know. Yes that's correct, the videos system uses the same [media] tag that IPB uses. So any media tag should work. But for the automatic thumbnail download, there is a special "thumbnail" plugin that uses api's or other ways of getting the thumbnail url of a video. 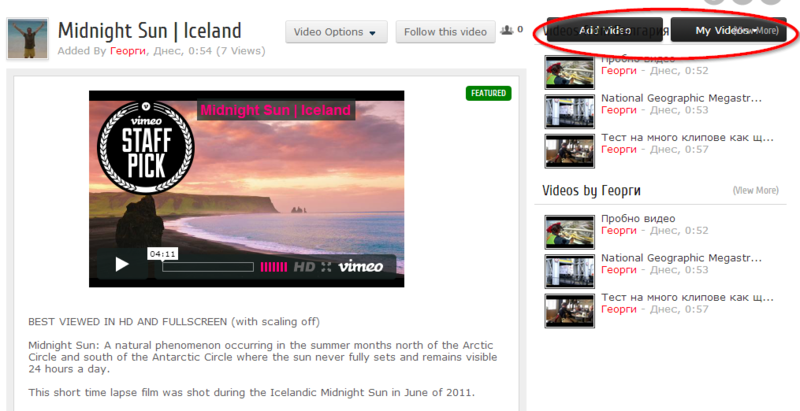 Currently Youtube, Vimeo, Facebook, Vine, TwitchTV and JustinTV are supported. in the group permissions - what does 'Can post embed videos?' mean? Silly question maybe - but not 100% sure in the context of the system. Would also be nice to have video upload limits on physical files uploaded as this new part of the system is developed per member group. How does 'Add as video' work? I have clicked on a post where a youtube video has been posted and this youtube URL is not carried over, nor is any other data for that matter. Allows raw html to be posted, for example posting the Youtube embed code rather then using the media url to generate the embed code. Right now the upload is just basic but yeah I plan on shifting upload limits to per member group. Is the video form still loaded? In the browser url, what's the part after app=videos say? Then it asks me to select a category. Once I do this, the fields are all blanks in the video submission form, except the category, the URL is then curtailed and so does not have the additional info. When it will be possible to download from ipb marketplace? What style would you like to display videos in the sidebar hook? List Style = Videos in listed order. Feature Style = Ideal for displaying a single video. would this be more appealing? that´s ok how can i make it? the blocks last updates and top rated can delte? At the end of this week. Setting since removed, will update to remove it. I've added a bug report. Anyone else having resolution problems? What I might do is reduce the size of the sidebars. It does look rather squashed on 1024 x 768 which although mine is expands wider, this is the size that I still work with due to some lower resoloution monitors and people viewing the desktop mode on tablets and smartphones. Edited June 4, 2013 by Chris M.
The question I have for that is why do you have a screen that small? The majority of people are now using 15" or higher screens with resolutions of 1366x768 and higher. And for tablets shouldn't it be in mobile view? This actually might be a bug on my end. See here. If still doesn't work, open a ticket with acp login details and I can take a look. I would love to design to 1366 or larger, but cannot for now. Mobile view in any case is poor when people are used to seeing graphics and may well have a better screen resolution than their desktop.